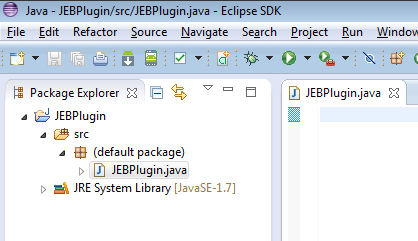 This tutorial explains how to configure an Eclipse IDE project to develop JEB plugins efficiently. 1 – Create a regular Java project. In this example, the project is named JEBPlugin. 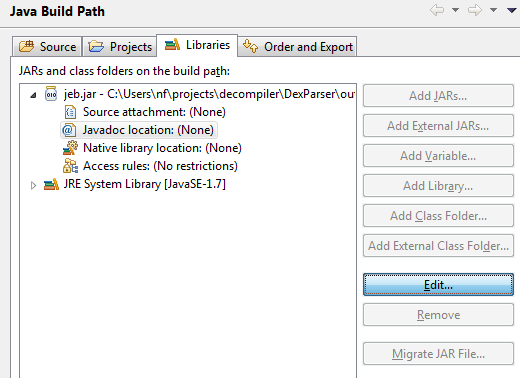 2 – Add jeb.jar to the Build path. Edit the project Build path (right-click, Build Path, Configure Build Path…). Select “Add External JARs…“, add select jeb.jar located in your JEB/bin installation folder. 3 – Attach the API docs to the JEB jar file. Unfold the newly added “jeb.jar” entry, click Javadoc location, then Edit. 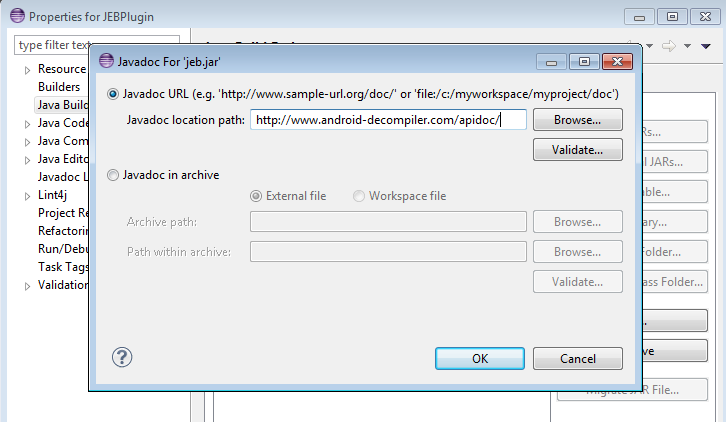 Point to either the online Java doc at https://www.pnfsoftware.com/jeb1/apidoc or use an offline Javadoc archive, either present in your JEB installation folder (typically, doc/apidoc.zip), or downloaded from https://www.pnfsoftware.com/jeb1/downloads. 4 – You’re done! 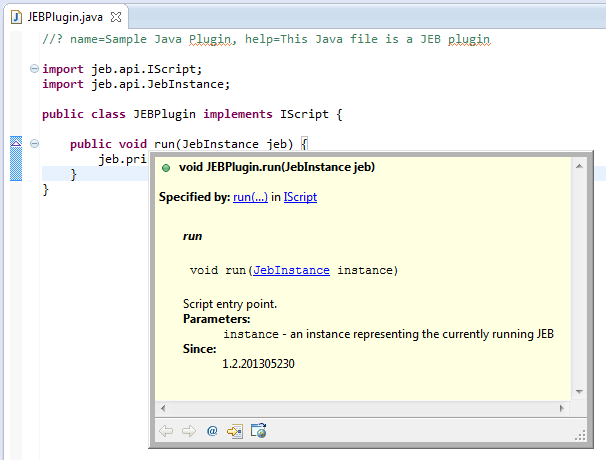 You can now develop native Java JEB plugins. Remember that the main plugin class must be in the default package (ie, no package), and implement jeb.api.IScript. This blog contains several How-to’s on plugin development. You will find even more examples on our Download section on the main website.